Every year Asia Society is pleased to host the U.S. National Center for APEC and the U.S. APEC Business Coalition in a high-level briefing on APEC, its priorities for the coming year and the region’s future. This year’s program will feature U.S. Senior Official for APEC Robert Wang, the incoming Chair of the APEC Business Advisory Council and Asia Society Trustee Doris Ho, and Asia Society President Josette Sheeran, who will moderate the discussion. Please join us for a compelling look at the road ahead for APEC, and for Asia itself. The recently concluded Asia Pacific Economic Cooperation (APEC) meetings are being heralded as the most substantive and impactful in years. Representatives from 21 nations across the Asia-Pacific gathered in Beijing for meetings aimed at greater economic integration, and the easing of regional tensions. Bilateral meetings at the time of APEC 2014 produced a promising climate change agreement between U.S. and China; and a landmark meeting between Prime Minister Shinzo Abe of Japan and President Xi Jinping of China, signaling a potential thaw in one of the most important relationships in Asia, if not the world. 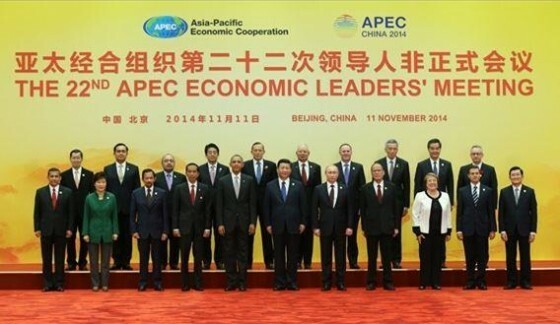 What other tangible accomplishments emerged from APEC 2014? What’s next for the proposed Free Trade Area of the Asia Pacific? We’ll tackle those questions along with a look at APEC 2015; and the issues which host nation Philippines will likely bring to the table.